It’s been a long time in the making but its poems and essays are well worth reading. 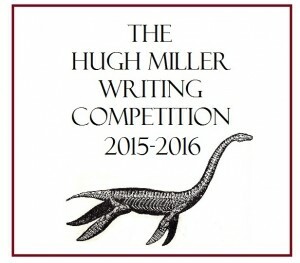 The essays include the first and second place prize winners in the Hugh Miller Writing Competition. 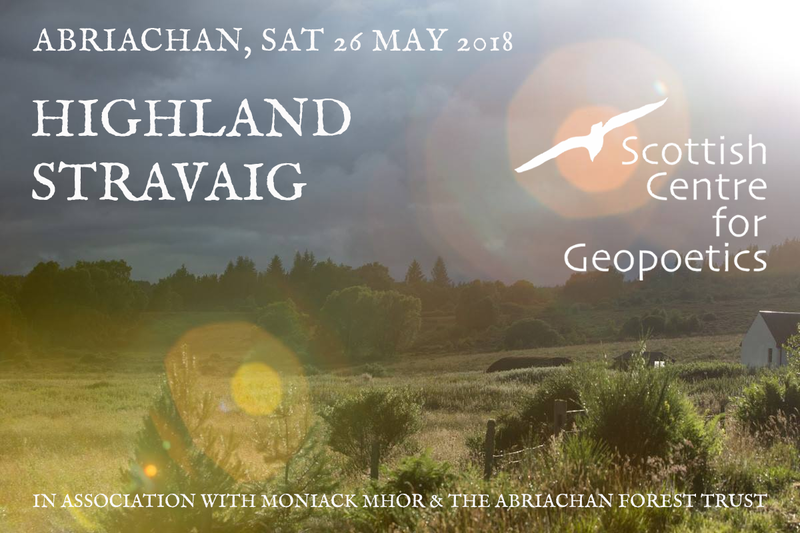 The Scottish Centre for Geopoetics and the University of the Highlands and Islands will host Expressing the Earth in Argyll 2017 to bring together creative artists, musicians, poets and film makers along with academics, researchers, students and teachers to explore, create and debate the earth and the environment in this spectacular area of Scotland. Expressing the Earth will look to the multitude and proliferation of the islands and peninsulas and address the ways in which people are influenced and brought together by these features from the Neolithic and Bronze Age, early Celtic Christian heritage and seafaring history to more recent industrial exploitation of the Slate Islands. 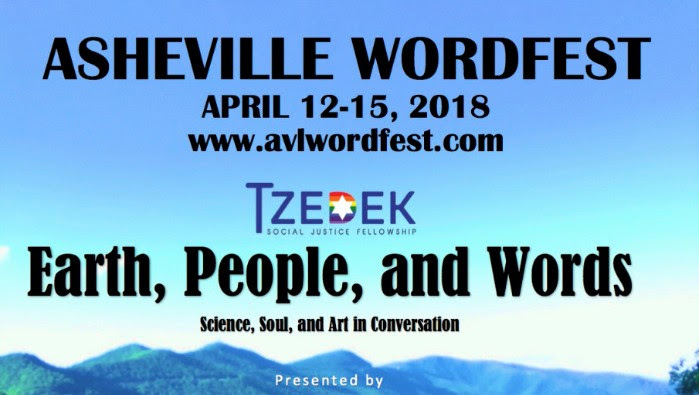 Themes and activities, rooted in Geopoetics, include literature, history, visual arts, film making, archaeology, geology, geography and theology – with active engagement and creative outcomes as central to the conference as academic papers and presentations. 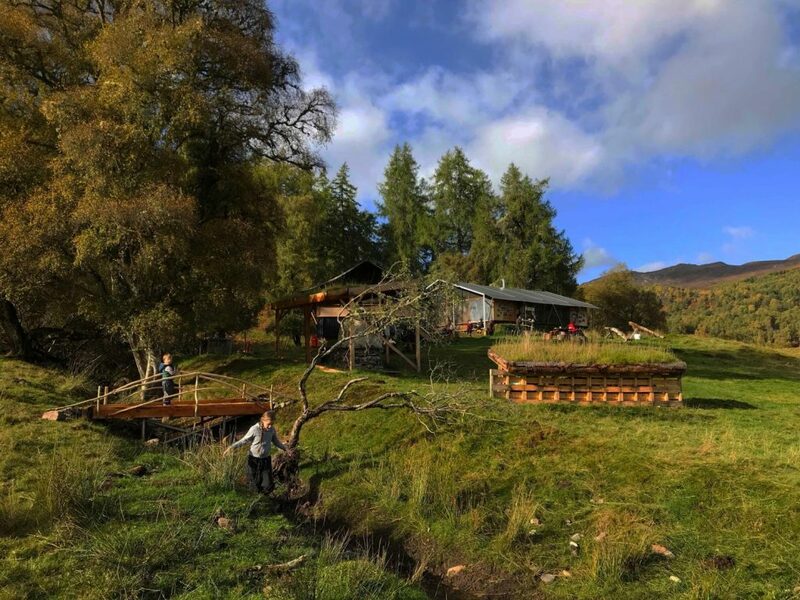 The conference will take place at the Seil Island Hall in Argyll with field activities also in Kilmartin Glen, Easdale Island and the Isle of Luing. 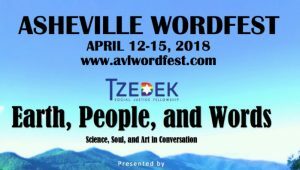 Poetry readings, musical performances and social gatherings will play a key part in the conference programme and it is intended that publications and exhibitions will follow. 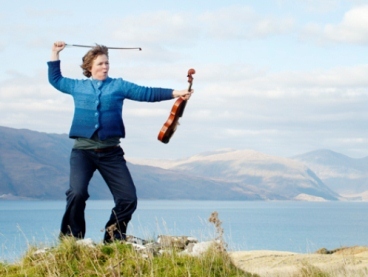 Please send a 200 word proposal, title, short bio and supporting images, if appropriate, to Mark Sheridan, Reader in Music and Creativity at the University of The Highlands and Islands, by 15 January 2017 – mark.sheridan@uhi.ac.uk. Further information on the programme, key speakers and content will be published in due course. David Francis 214 Portobello Road, Portobello EH15 2AU. Please spread the word by sharing this Newsletter with others. Season’s Greetings to you all! We hope to hear from you in 2017. 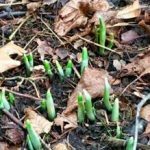 If you’d like to know more about what geopoetics is, the best place to start is our website at www.geopoetics.org.uk where you will find an overview of geopoetics and 4 issues of our online journal Stravaig. Issue 4 contains essays on intellectual nomadism by Kenneth White, Martina Kolb, Bill Stephens and Norman Bissell, and on Rimbaud by Karen Strang and Mike Roman. It also has new poems and images by Morelle Smith, Alyson Hallett, Andrew McCallum and also by Gordon Meade and Douglas Robertson from their new book Les Animots: A Human Bestiary. The International Institute of Geopoetics website is now available in English and contains many essays by Kenneth White including one on Alexander von Humboldt and An Outline of Geopoetics. http://www.institut-geopoetique.org/en/the-geopoetics-review. Our AGM in Portobello in August decided to produce this Newsletter twice a year and to continue to publish Stravaig annually in the Spring. It also agreed to make plans for a major conference on geopoetics in 2017 and we have already had fruitful discussions with representatives from the University of the Highlands and Islands (UHI) and the University of Glasgow about this. Watch this space! We are looking for submissions of essays, poems, short stories and images on the general theme of geopoetics to be sent to nbissell@btinternet.com no later than Tuesday 23 February 2016. Prose should be a maximum of 3,500 words and no more than 4 poems should be submitted. Relevance to the wide field of geopoetics will be one of the main criteria for selection. 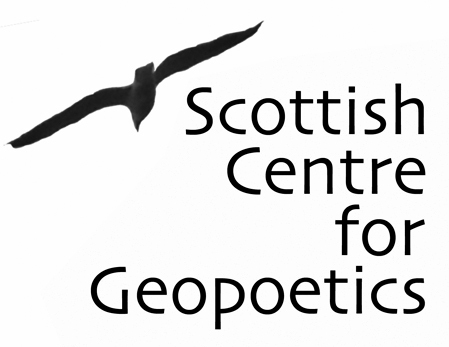 To keep up to date with the latest geopoetics news, why not Like our Facebook page https://www.facebook.com/ScottishGeopoetics?fref=ts and follow us on Twitter https://twitter.com/@SCGeopoetics? 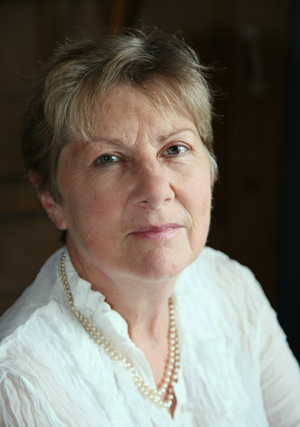 We were very sad to learn of the death of Tessa Ransford in September. She made an outstanding contribution to poetry in Scotland as a poet, founder of the Scottish Poetry Library and promoter of poetry pamphlets; and to culture in general, both here and internationally, which will live on and be her legacy to the world. 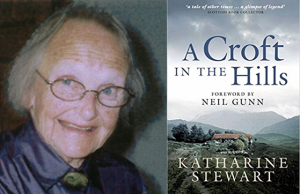 She was passionate about many causes and in recent years joined the Scottish Centre for Geopoetics and came with us on some of our walks. 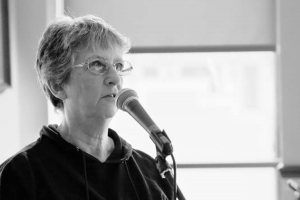 Her latest poetry collection A Good Cause from Luath Press was well named. Further information and reviews of her other books and much more are at http://www.wisdomfield.com/. 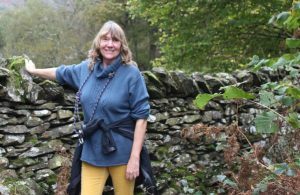 A Memorial event for Tessa Ransford will be held on Monday 7th Decemberat 7.30pm in St Andrew’s and St George’s Church , George St , Edinburgh . 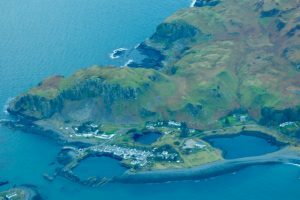 We are delighted to partner the Scottish Geodiversity Forum and The Friends of Hugh Miller in supporting and promoting Testimonies of the Rocks: the Hugh Miller Writing Competition. 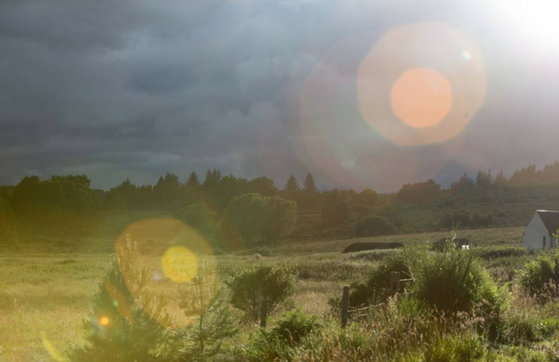 Poems, non-fiction and fiction inspired by the geological and landscape writings of Hugh Miller, Scotland ’s celebrated self-taught geologist, are invited by Friday 18 March 2016. Miller was a poet and prolific writer and this competition, open to all ages, will encourage a renewed interest in his work, a catalogue of new writings inspired by him and greater awareness and appreciation of Scotland ’s geodiversity. See more at: http://bit.ly/1Gv1CdG. 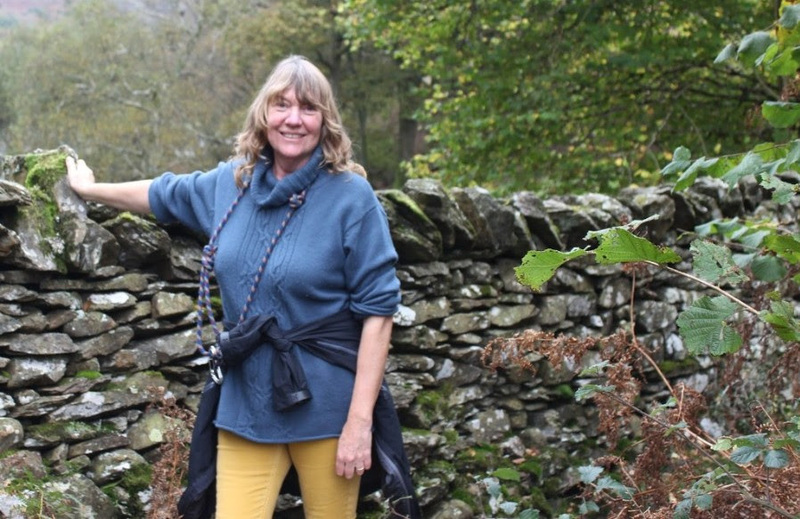 Friday 27 November at 7.45 pm Atlantic Islands Centre, Isle of Luing A Talk and Reading by Carla Lamont, author of The Ninth Wave: Love and Food on the Isle of Mull as part of Scottish Book Week, supported by the Scottish Book Trust. Full details at http://on.fb.me/1H6rWpf. Saturday 5 March 10.30am-4.30pm Geopoetics in the National Galleries of Scotland Collections: Bill Taylor. A guided tour of the Collections in the National Galleries of Scotland , Edinburgh led by artist Bill Taylor, a Geopoetics Council member. 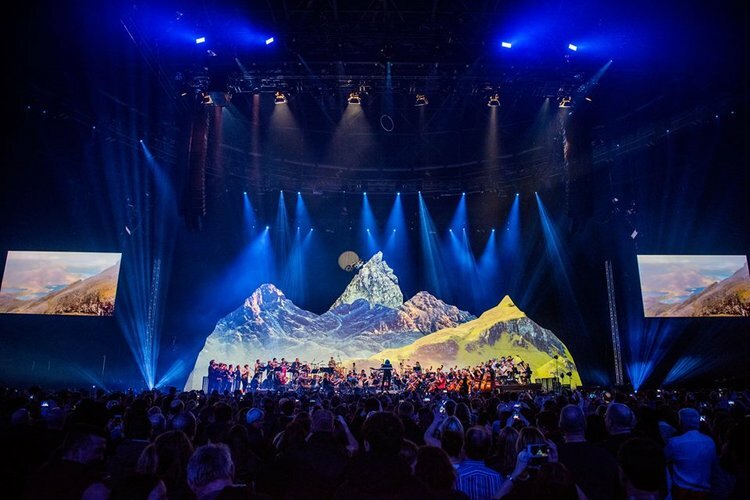 A date for your diary – full details to follow in the next Newsletter. Thinking of Christmas gifts? Why not choose books written by our members? James McCarthy A Short Call to Arms, a military memoir can be obtained from mccarthy-james4@sky.com for a modest donation to the Askari Appeal. Martina Kolb Nietzsche, Freud, Benn, and the Azure Spell of Liguria, University of Toronto Press, about the influence of the Ligurian coastal area of Italy on three seminal German writing modernists – Friedrich Nietzsche, Sigmund Freud, and Gottfried Benn. Available from http://bit.ly/1icdpSs. 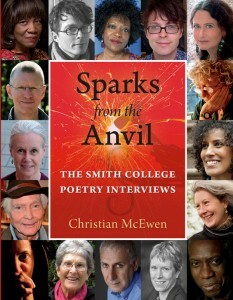 Christian McEwen Sparks from the Anvil The Smith College Poetry Interviews with 16 poets by the author of World Enough & Time: On Creativity and Slowing Down http://bit.ly/1Mg9sE6. Norman Bissell Slate, Sea and Sky Luath Press. A new paperback edition of my poetry collection which contains an Introduction and some new poems as well as photographs by Oscar Marzaroli is out now. A signed and dedicated copy can be obtained from me at this e-mail address. 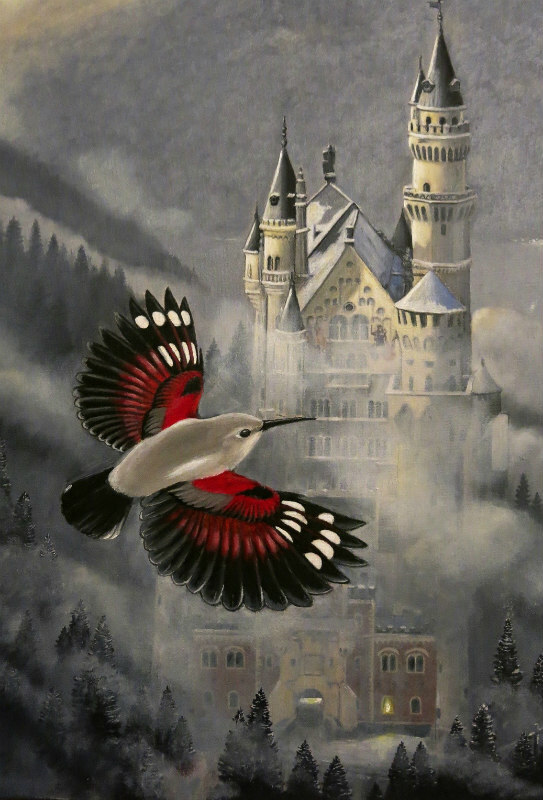 You can also Like my book page on Facebook at http://on.fb.me/1OUthHB. Please join or renew your annual membership (£10/£5 unwaged) by sending your name, postal and e-mail address & a cheque made out to the Scottish Centre for Geopoetics to our Treasurer, David Francis 214 Portobello Road, Portobello EH15 2AU. To unsubscribe, just send an e-mail to Norman Bissell at normanbissell@btinternet.com. 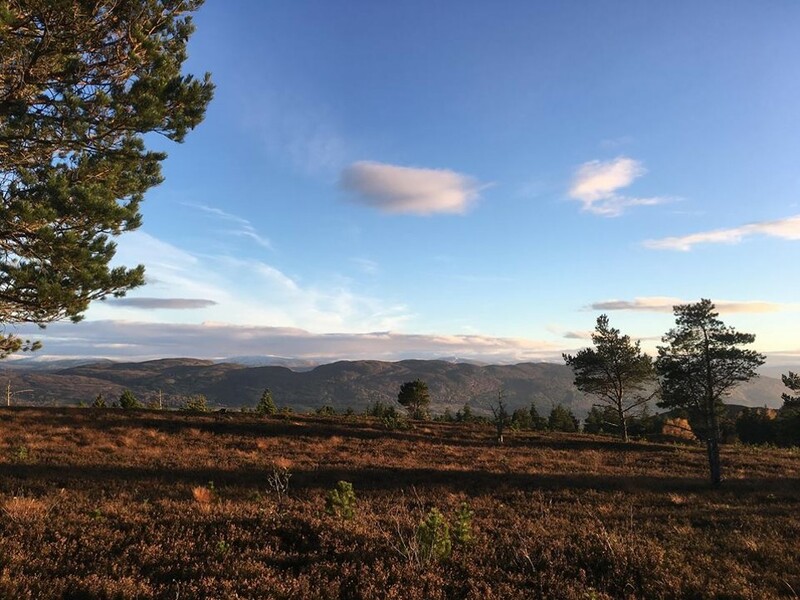 Issue 4 of our online journal Stravaig is now live and contains essays on intellectual nomadism by Kenneth White, Martina Kolb, Bill Stephens and Norman Bissell, and on Rimbaud by Karen Strang and Mike Roman. It also has new poems and images by Gordon Meade, Doug Robertson, Morelle Smith, Alyson Hallett, Andrew McCallum and many more. Many thanks to Nancy Campbell for all her great work editing it and to Steve Pardue for creating it online. Sorry that issue 4 and this Newsletter are late due to illness, but they are well worth reading. Stravaig Issue 3 is still available at http://www.geopoetics.org.uk/online-journal-stravaig/stravaig-3/. It has 8 essays and 14 poems on the theme Geopoetics in Practice ranging from Aberlady Bay to Saudi Arabia, from Illinois to Iona. Our SCFG AGM will take place on Saturday 8 August at 12 noon at the Dalriada, 77 the Promenade, Portobello. We would like to see more people taking an active part in the SCfG and will be discussing how best to take it forward e.g. what should we be offering members? Would crowdfunding enable us to pay someone to carry out admin, develop our website, plan and lead activities etc? Contact me if you would like to attend and you will receive an agenda etc. Full details at https://www.facebook.com/pages/Atlantic-Islands-Centre/162317933893255?fref=ts. or http://bit.ly/1dVyjDl . To book, contact Laura: 01852 314096 laura@atlanticislandscentre.com. Thursday 16 July The Oxford launch of The Interpreter’s House No.59 by Nancy Campbell at The Albion Beatnik at 7.30 pm. There’ll be kayak poems and more.